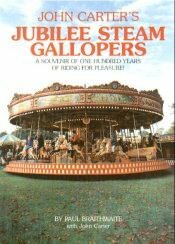 This book, the first in the Fairground Heritage Series, details the full history of John Carter's Jubilee Steam Gallopers 1895-1995 along with general information on gallopers and their manufacturers. Fully illustrated in beautiful colour and black and white photographs, dozens of which are previously unpublished. This is a really excellent book, colourfully illustrated, and comes with a big recommendation from Joyland Books.